These days most of the app developers and companies are launching their apps for both the platform (iPhone and Android). Even though most of the for profit company prefer launching their apps on iPhone first and then Android. Have you ever wanted to check out all Apple app store apps on your Android phone? The solution which I’m going to share with you here will let you browse all the iPhone app store apps on your Android device and you can see the description. Meet Apps explorer. 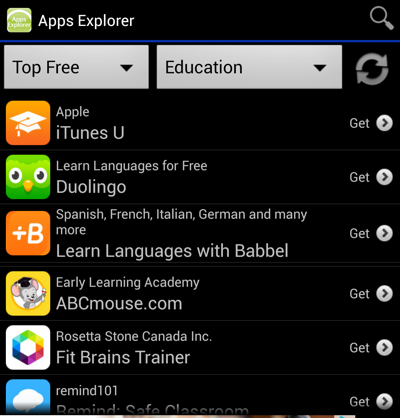 Apps explorer is an ultimate solution for Android users to browse iPhone apps on their Android phone. This app is basically an explorer app for official Apple app store and you will be able to see what all apps are there on the Apple app store and see the screenshots and description. 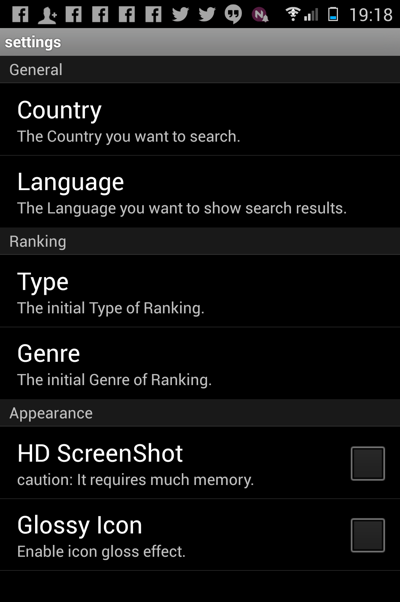 You can sort the apps based on various factors such as App rating, popularity, price and release date. One particular feature which I loved and you will also love is: Ability to find the same app on Android play store. Suppose you are browsing an iPhone app using this app and you want to see if this app is available for your Android phone or not, you can do the same with the help of app. This will be helpful for you to find new apps for your Android phone, which is already popular on iOS eco-system. Bloggers and App reviewers will love this app, as even without iPhone you can see the description and discover new iPhone apps directly from your Android phone. A feature to emulate or may be a video demo of these apps would have been great addition for you. But for now, this is the best solution for anyone including you to checkout Apple app store apps on your Android device. If you know of any other similar app or an option to emulate iPhone app on Android phone, do let me know via comments. Is there any way to run iPhone apps on Android? This is very helpful in finding new apps and the apps which are in apple phones. And a small help from you. Which cell phone do you consider to be good IOS or android. I use both iOS & Android (One plus 3T). Oh cool, a good tip! I just changed a phone and thinking how to do it all! And then everything! Can I install the iphone apps on my android phone? Hi harsh is there any app like showbox which can run on windows phone? Very helpful tip and very unique. I liked the way that we can have apple app store on Android. Though we can’t download them use but we can know what’s in it. So thanks for giving such a tip. Could you please suggest me. How to install Apps in mobile which is banned in India. It is quite a detailed and helpful article up there. As there was one Music player App that I badly wanted, but it was available only in iPhone App Store as being an Android User. But using the steps above I could get apps from iPhone App Store.